The morning a definitely a bit extra chirpy today as we wake up to our favourite Taimur Ali Khan‘s birthday. The birthday boy turns 2 and looks as fresh as a morning dew in the picture that surfaced on Instagram right at midnight. As parents Kareena Kapoor Khan and Saif Ali Khan ring in little Taimur’s second birthday in South Africa’s Cape Town, a fan page uploaded Taimur’s adorable picture sharing the frame with aunt Karishma‘s kids. In the picture, the little munchkin is seen wearing a white printed night suit, looking away from the camera, with a book held in hand. 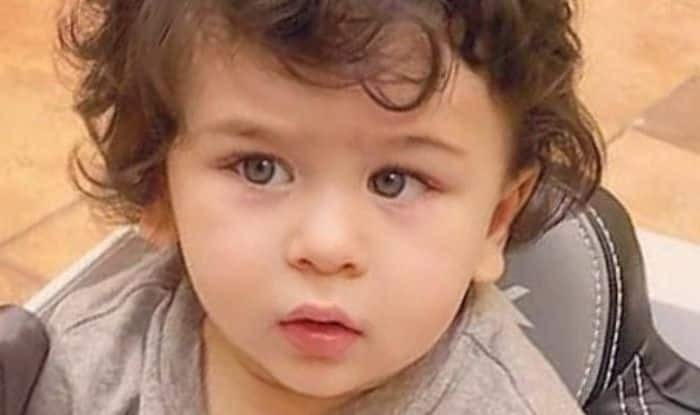 Saif and Kareena both are known to be avid readers and we wonder if the reading bug has bitten their star kid who is already a national obsession. The fan page captioned the picture as, “❤❤❤❤ #repost @therealkarismakapoor Happy 2nd birthday to our little jaan! ❤️ We love you the most !! #taimuralikhan #babynawab #mybabies” as wishes from across the world started pouring in the comments section. Meanwhile, the Nawab family’s vacation pictures that are currently trending on the internet with little Taimur adorably adding a cherry on the cake with his cuteness, will make you want to leave all your work behind and indulge in a getaway. The paparazzi back in India are definitely missing their favourite star kid. In one of the recent pictures from Cape Town, Saif and Kareena were seen sunbathing in their beach-perfect outfits. While Saif donned a sporting blue and white striped shirt and white shorts, Kareena, looked ravishing in a breezy white sleeveless dress. The Veere Di Wedding star had accessorised her look with a cool yellow hairband, a pair of sunglasses and a bracelet. In another picture, Saif can be seen having fun with his boy Taimur as the daddy-son duo twinned in blue outfits. Never intimated by the camera, Taimur, a couple of days back, had left his mother’s hand and run towards the shutterbugs that made us gasp our breaths. We wish the bundle of joy a brilliant life ahead with added dollops of cuteness.